The exhausted mother had came back to home . She was carrying the heavy grocery bag with difficulty to way home . Her older brother was waiting for herto come back ; when mom entered the home he came up and said ” when I was playing in garden and father was talking with phone , Tommy ( younger brother ) has painted on your newly-painted room’s wall by marker ” ! Mother was so angry ; she went to Tommy’s room ; Tommy has been hidden unther the bed ; he is so scared .Mother shouted ” you are very bad boy and throw all of his markers away . Tommy bursted into tears . 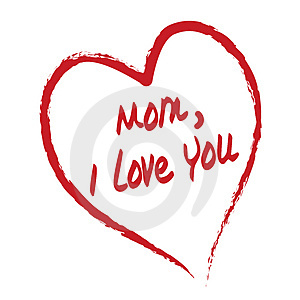 ten minutes later when mother came to sitting room felt dismay ; Tommy had drawn a huge hear with red marker and written ” Mom,I LOVE You” inside theheart . Mother came back to room with a frame while crying and hung the frame around the lovely drawing . The drawing is still on the wall .